AARP, the organization for senior citizens, is pushing hard for reform of Social Security. John Hishta, the Sr. Vice President of Campaigns for AARP, spoke in Des Moines Wednesday morning about the ratio of 2.5 taxpayers for every Social Security recipient, a deadly ratio which is the major reason for America’s crushing debt and a shortage of caretakers needed for the elderly who need care. 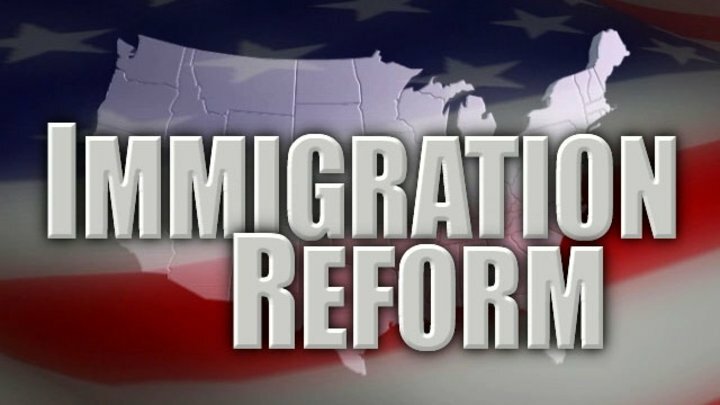 Hishta said AARP is not thinking about the connection between Social Security reform and immigration reform, but it should, since more immigration would directly raise that threatening ratio, lower our deficit, and help rescue our economy if economists are to be believed. I spoke with him about the solution suggested by most economists. Below is my followup message to him with documentation of my claim that it is in AARP’s interest to investigate this connection. That is also in the interest of every senior who doesn’t want their Social Security checks to stop, and of every American who doesn’t want America’s economy to stop. Hishta is a former Executive Director of the National Republican Congressional Committee and has advised numerous political candidates, campaign committees and associations for over 20 years. Hi! Below is documentation of the points I made this morning. Here is a single link to much of my research. 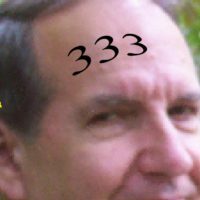 Here is my whimsical analogy of the link between immigration, our debt, and Social Security that WorldNetDaily News published. (Recap of this morning’s conversation: You addressed the Westside Conservative Club about AARP’s efforts to reform our budget-busting Social Security. You said the root problem is that the ratio of taxpayers to SS recipients has declined from 16 to one in 1935, when the program started, to 2.5 to one today. You agreed with me that the threat is not just fiscal, but that ratio has created a shortage of caretakers young enough to care for the elderly. (I asked you if AARP has looked, for a solution, into immigration reform – or even elimination of immigration quotas – since that would directly raise that threatening ratio. I said the groups like Center for Immigration Studies and FAIR who object to reform for economic reasons formulate their claims without the input of economists, and their claims are contrary to the findings of economists. I asked if AARP has considered that solution, or has a position on those economic facts. You answered that AARP has not, and that you are unaware of those numbers, but that of course any change in immigration should not keep Americans from getting jobs. Here is my article and my second article summarizing his testimony. He was paired, at the hearing, with Peter Kirsanow, a lawyer with no credentials in economics, yet who was not embarrassed to contradict an economist of Holtz-Eakin’s standing, without the support of any source beyond his own word, unless it was to allude to other Undocumented Economists no more educated than himself. It was like a deaf person telling Beethoven his orchestra was out of tune, over the objections of Beethoven (before Beethoven became deaf) and his section leaders, and having the audience believe him despite what their own happy ears told them! Kirsanow’s chutzpah was breathtaking. And yet it reflects the national Republican immigration discussion, which is driven by the “research” of six or seven men who never studied economics in college – research which paints a picture of the economic impact of immigration more pessimistic than even the most pessimistic credentialed economist. It reflects the “expert witness” list of the Senate Judiciary Committee over the past three years on the subject of immigration: out of 72 witnesses, on bills with “economic development” in their titles, only three had cared enough about correctly understanding economics to make that their major in college. It reflects the Senate hearing where seven Undocumented Economists couldn’t even agree whether H1B workers get paid more than citizens or less. Hal Salzman, one of the witnesses, with no economics credentials, had authored a study saying they get paid less, thus taking jobs from citizens; another witness cited a Brookings Institute study by real economists who said they are paid more, or at least that they cost employers more. Because the Senate had shown no interest in inviting a real economist to help sort out the evidence, despite my urging to Senator Grassley and the committee staff, the hearing was total confusion. By the way, just to clarify why I focused on job competition for our least educated citizens, and did not mention competition for all other worker categories: that is because that has become the fall-back position of groups like CIS and FAIR, since the research of George Borjas, whom they love to quote because he is the economist most pessimistic about immigration, has shown that other worker groups benefit from more immigration – a fact sidestepped by CIS and FAIR. That’s why when you listen to Undocumented Economists (my name for the half dozen guys who claim expertise in the economic impact of immigration yet who lack credentials in economics) talk about which citizens are supposedly losing to immigrants, they will mention only high school dropouts, and workers replaced by a couple of hundred H1B workers in two notorious California and Florida cases. Real economists don’t even concede that high school dropouts suffer job competition from immigrants – it is not certain that even young minors are at risk; those most at risk are recent waves of immigrants, who, despite suffering slight wage competition, are still making a few times more than they did before they immigrated. This morning you eloquently expressed frustration with the problem that issues like SS reform are barely addressed in the media because both Trump and Hillary have such high negatives – “in the high ’50’s and low ’60’s” – that media are discussing only their fitness to lead outside the context of their grasp of issues. The trust that our elected leaders have for each other, even within their own parties, is at an unprecedented low, you observed. I share your frustration, and my frustration reaches to something profoundly deeper: unwillingness of elected leaders, activists, and just about everyone else, to consider evidence of the facts upon which issues are based, even when lack of trust is not a barrier. Even among friends who know there is no “axe to grind”. Positions become comfortable habits which no one likes to see challenged, and the more so, when positions lay blame on someone or some group. It is such a fulfilling experience, to blame others, and have your accusation validated by “experts”, or if that is unavailable, at least by someone who calls himself an “expert”, especially with lots of other people willing to play along with the scam. Dare I hope that barrier can be broken by AARP? There may be no graver ultimate threat to America than its spiraling debt, kept out of control by that 2.5 ratio, which is sustained by abortion and immigration quotas. I can’t imagine a lobbying presence in Washington D.C. more concerned with the survival of Social Security than AARP. I can’t imagine a more obvious solution to the 2.5 problem than immigration reform, if not repeal of immigration quotas. I am going to pray that you are the man to investigate the claims of economists and sow a seed of Solution in the AARP Issue Machine. Of course I don’t expect you to believe anything I say without checking my links, but I hope you care enough about saving social security to investigate a proffered solution. And if you find objections to what I have said, or reasons not to believe my claims, I hope you will let me know so that I may learn.